IndiaLends, an online marketplace that connects lenders and borrowers for unsecured loans, has raised $1 million in a bridge investment round led by existing investors DSG Consumer Partners, Siddharth Parekh and Gautham Radhakrishnan. The New Delhi-based startup, which last raised funds in August, said in a statement it will use the fresh money to grow its product suite, expand geographical reach and hire more staffers. IndiaLends, run by GC Web Ventures Pvt Ltd, has processed 8,000 loan applications till date and facilitated loans worth Rs 3 crore. "In a very short period, we have been very impressed by the traction the business has shown. 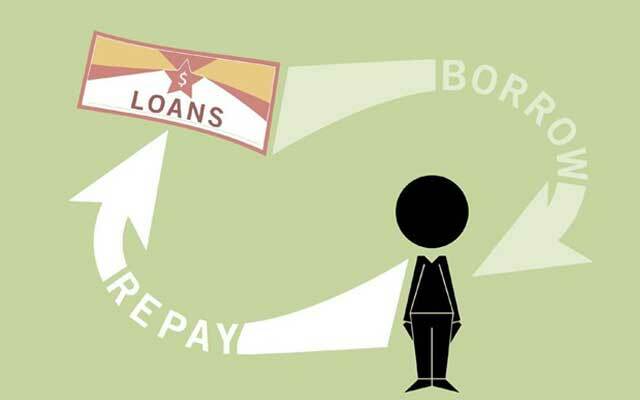 (The) August loan disbursal numbers were 300 per cent of July and 400 per cent of June numbers," said Deepak Shahdadpuri, managing director at DSG Consumer Partners. "This new round of funding will ensure that the company not only maintains but accelerates its pace of growth." The investment comes at a time when financial technology has become a preferred sector for venture capitalists and entrepreneurs. There is heightened investor interest in this sector as several startups are using technology to disrupt the country's current systems of lending, borrowing, personal finance and financial inclusion. One of the biggest deals in the fin-tech space globally was announced last week by Japanese telecom and internet giant SoftBank Group Corp, which led a $1-billion Series E investment round in US financial technology startup SoFi. In India too, a number of fin-tech startups besides IndiaLends have raised money recently. In September, Loancircle.in raised an undisclosed amount in angel funding from Toppr.com co-founder Zishaan Hayath, Trifecta Capital MD Rahul Khanna and other investors. In January, Gurgaon-based Fairassets Technologies, which is behind P2P lending marketplace Faircent, secured an undisclosed amount in funding from Devesh Sachdev and Ashish Tiwari (promoters of Fusion Microfinance Pvt Ltd) at an enterprise valuation of $4 million. IndiaLends was founded in March by former Capital One executives Gaurav Chopra and Mayank Kachhwaha. Chopra is an alumnus of London School of Business and Delhi's St Stephen's College while Kachhwaha is an IIT Madras graduate. The startup claims its data analytics and proprietary credit underwriting algorithms help individuals and small businesses get access to unsecured loans at "fair rates". It provides credit rating services for those who are not covered by Credit Information Bureau Ltd (CIBIL). Today, most lenders depend on a person's CIBIL score for deciding on loan applications. While CIBIL scores range from 300 to 900, statistics show that almost 60 per cent of loans go to those with a score above 750. Kachhwaha said the company has facilitated higher approval rates, instantaneous decisions and quick loan disbursal. "Our vision is to get rid of the unorganised lending sector in the country and bring more and more people into the fold of formal channels of credit (by) using better underwriting techniques and technology," he said. The startup, which claims to work with 10 financial institutions, processes more than 300 daily loan requests ranging from Rs 50,000 to Rs 15 lakh for customers in Mumbai, Bangalore and Delhi-NCR. DSG Consumer Partners has previously funded ventures such as Sula Wines, Mswipe, Veeba Food Services, ZipDial, OYO Rooms and EazyDiner.